The CRH O’Regan rubber band ligation treatment is a painless method of having hemorrhoids treated with little to no discomfort within minutes. In many cases, patients are able to return to everyday activities within 24 hours. Typically, patients would need to undergo a hemorrhoidectomy, which is a much more invasive treatment. You can access treatment through CRH O’Regan rubber band ligation at one of two offices under the expert care of Dr. David Yamini’s team in California. 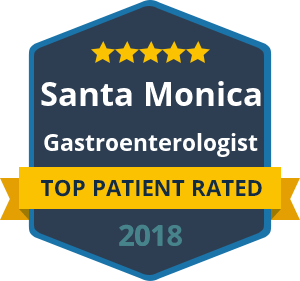 We have offices located in Beverly Hills and Santa Monica, allowing patients easy and convenient access to CRH O’Regan rubber band ligation treatment for hemorrhoids and other conditions. This type of treatment requires the knowledge and experience of gastroenterology professionals. It is important that you can trust your care to those who understand your specific needs, deliver treatments that are effective and reduce unnecessary pain and discomfort. Dr. Yamini understands that the majority of patients are reluctant to go through surgery in order to have hemorrhoids removed. In avoiding surgery, patients often subject themselves to prolonged pain and discomfort with no chance of relief. CRH O’Regan rubber band ligation treatment offers those patients an option that doesn’t involve surgery and removes obstacles to pursuing relief. If you still have questions about CRH O’Regan rubber band ligation treatment, Dr. Yamini or a member of his team can provide additional advice and support during a consultation. It is important to Dr. Yamini and his team that you are fully involved in your treatment options throughout the process. Contact us today to arrange an appointment to have your hemorrhoids examined by a gastroenterology specialist in California. We look forward to providing you with the relief you need from hemorrhoid pain and discomfort with CRH O’Regan rubber band ligation treatment.